See that camera above? Well, ABS-CBN now has 24 of these for their studios. Soon, our favorite telenovelas will be viewable in full HD! 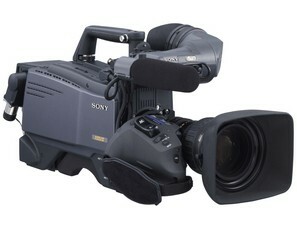 ABS-CBN Philippines, Asia’s first commercial television broadcaster, has just announced its intention to acquire 24 Sony HDC-1400R HD portable studio cameras. ABS-CBN is upgrading its studio facility at Quezon City, north of Manila, from SD to HD and Sony was the obvious choice. ABS-CBN owns the biggest cable network in the Philippines and is involved in the production of television programming for domestic and international audiences. They deliver content around the world to countries including North America, Europe and the Middle East. The decision to upgrade to high definition was based on the increasing demand for high definition content from their domestic audiences and those that they export to around the globe. ABS-CBN is at the forefront of broadcasting in the Philippines and is the first to invest in Sony high definition studio cameras. Two huge entities — telcos and the TV networks — these are the two things that push technology to be adopted by the masses. In this case, we’re looking at the death of CRT televisions and say hello to the sexier 720/50P resolutions (I’m not much of an A/V guy but I think the 1400R can also do 1080p). What’s *your* favorite Kapamilya telenovela? I think they should invest in intense cinematography instructions for their DPs and cameramen first. There’s currently nothing on the channel that begs to be seen in High Definition. Bad lighting, uninspired composition, and poor color correction in a lot of their fiction shows at least. @Jedd Yes, I agree with you on the cinematography and the some of the shows also need to work on some of the audio because they use the same recycled music all the time time for some better audio please. However I will be awaiting the release of HD on TFC baby.